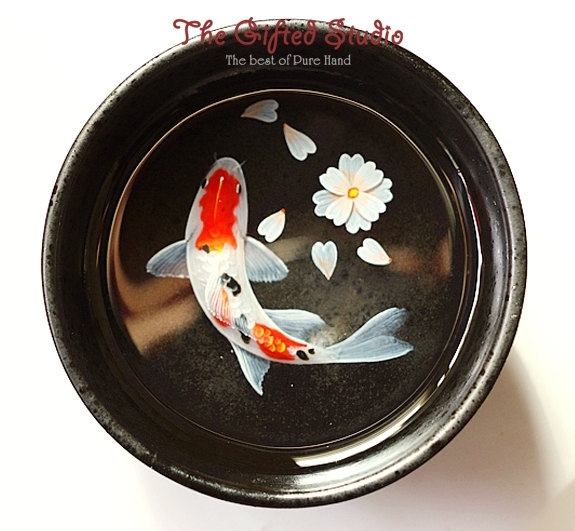 An artist, that is able to make a painting look like, a 3D fish and dragons swimming around the bowl. 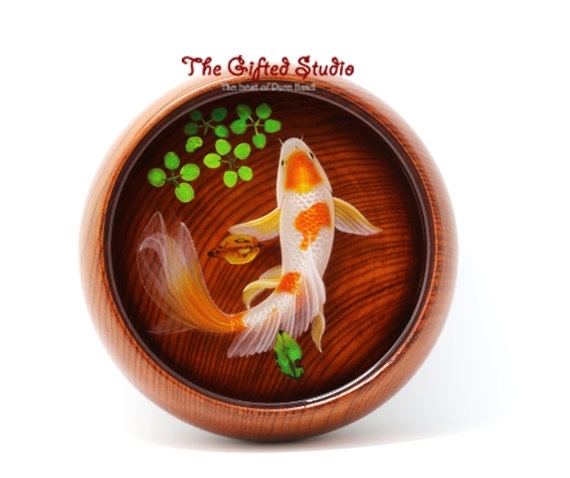 Lillian Lee is an extraordinarily talented artist from China. 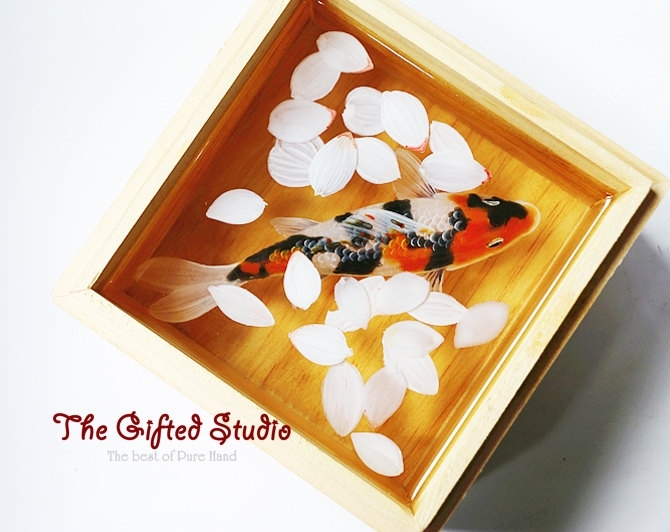 She layers resin in multiple stages, painting each portion of it, to build up the process and to give it tat 3D effect. 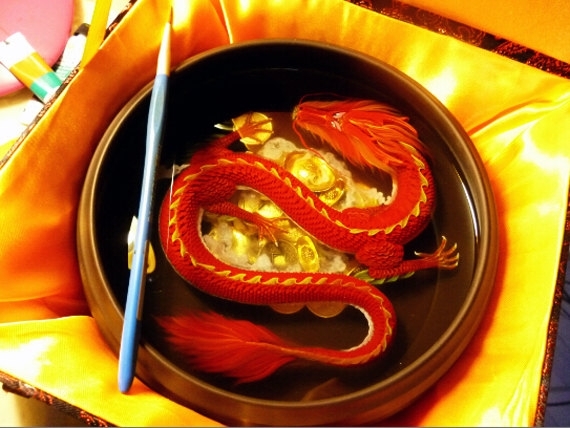 I haven't been able to see a video of the process entire process, but the way it makes sense in my head is if, I think about it as a reverse of a stone sculpture. 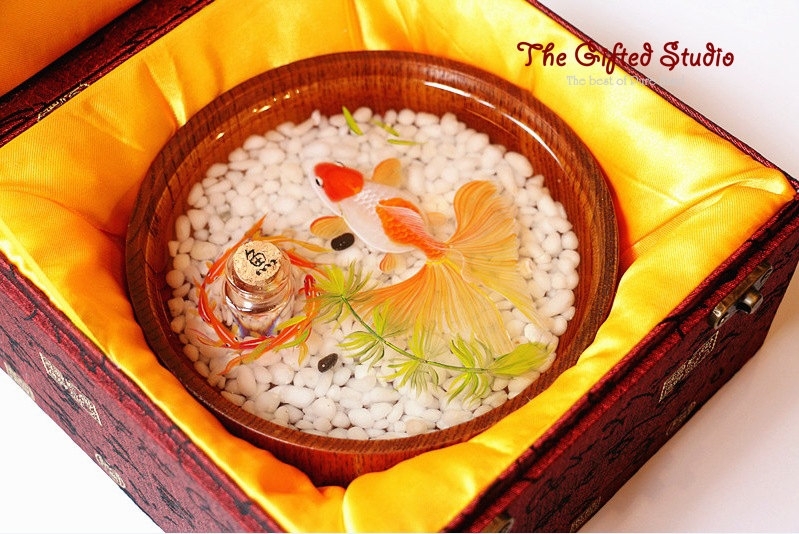 In this case, instead of chiselling away the stone, you are adding layers and instead of stone you are using transparent resin to build it up. 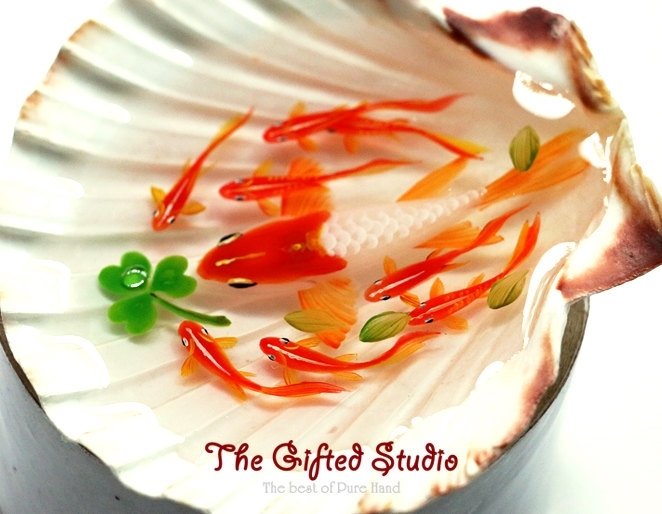 With each painted layer, you are building the height of the fish or dragon and therefore the 3D aspect of it. Hope that is clear and that I'm right. If this is not the process or, you have other theories, please let me know in the comment section at the bottom. 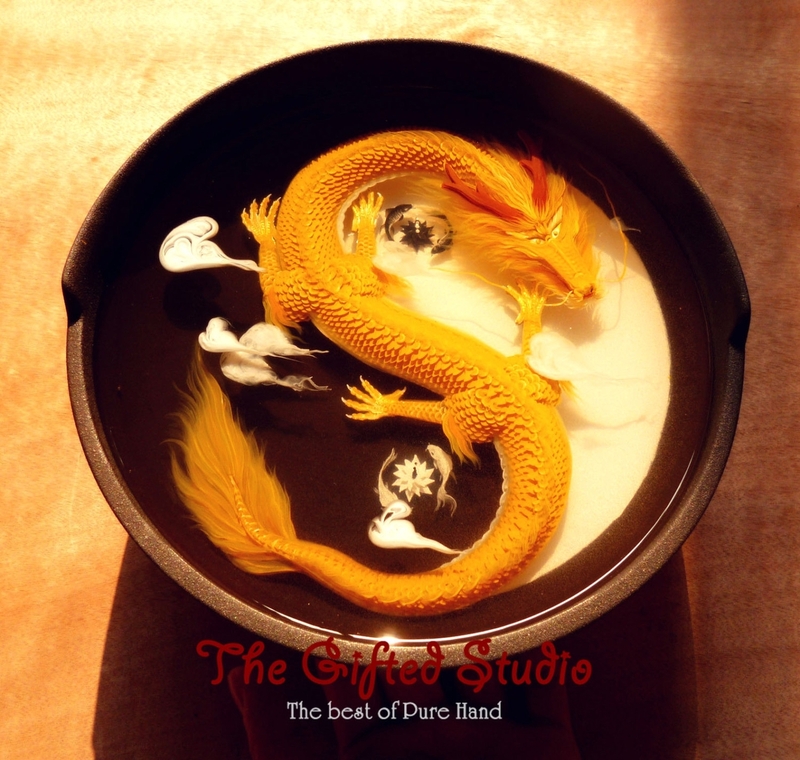 Golden Dragon with Tai Chi pattern. 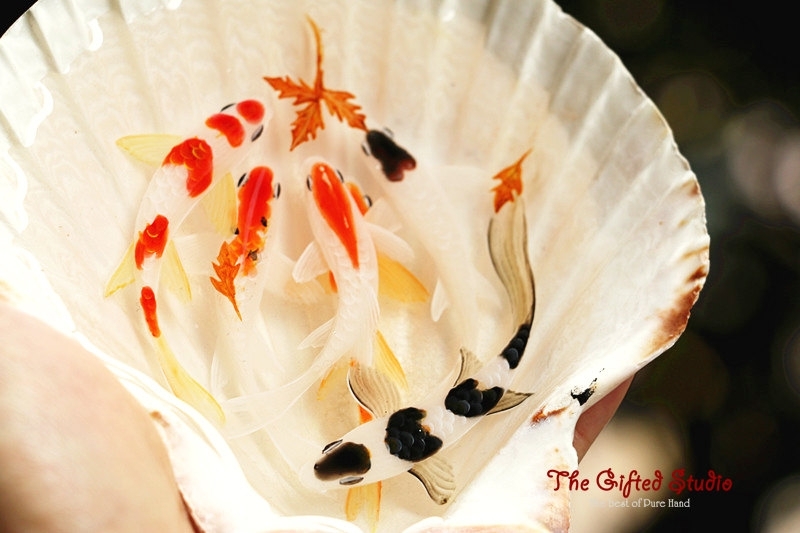 6 Koi fish in the Shell. 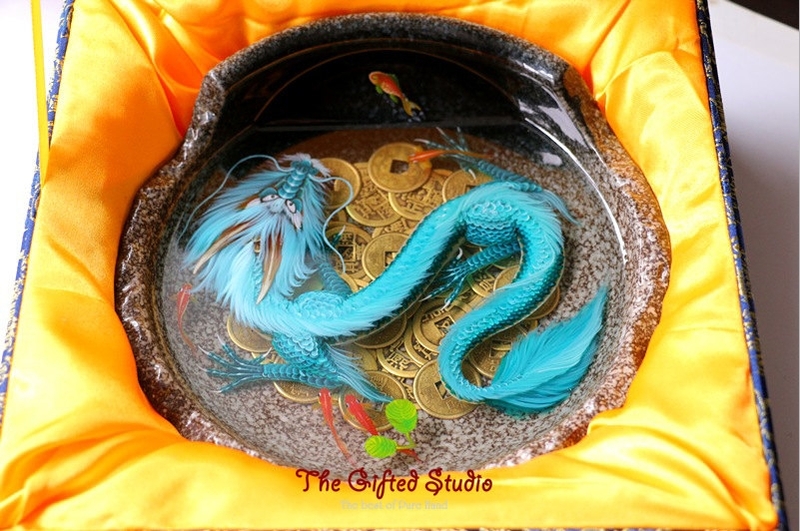 Blue Dragon lying on Ancient Chinese Coins. 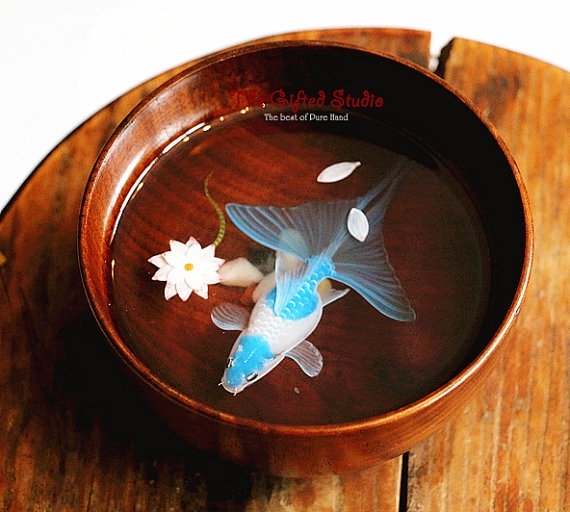 Koi Fish in a Japanese Teacup. 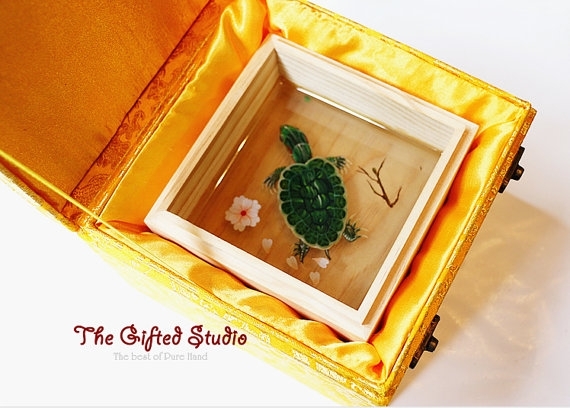 Tortoise Resin painting in Wooden box.